Today, April 2, marks the eighth-annual World Autism Awareness Day — a day to drive awareness around early diagnosis and early intervention of a pervasive disorder that affects tens of millions of people around the world. Researchers continue to strive to better understand the causes underlying the brain changes associated with autism spectrum disorder (ASD), how to better predict those at higher risk, and how to evolve therapies and treatments to fit symptoms and behaviors exhibited by this population. New research from the University of Miami sheds light on the changing patterns of brain connectivity observed in people with autism spectrum disorder compared to typically developing (TD) peers. The findings could have implications for predicting response rates to treatment for children with ASD. The study results, published in the journal NeuroImage Clinical, indicate that differences in brain connectivity in ASD correlate to developmental stage, building on previous findings where patterns of both hypo- and hyper-connectivity of signaling networks have been observed in people with ASD. Children aged 7 to 11 exhibited hyper-connectivity within large-scale brain networks and decreased between-network connectivity compared to TD children. Adolescents with ASD (age 11 to 18), however, did not differ from TD age-matched controls in within network connectivity, but had decreased between network connectivity. Adults with ASD aged older than 18 showed neither within or between-network differences in functional connectivity compared to TD controls. Ultimately, alterations in functional brain connectivity in the cerebral cortex may be at the heart of behavioral characteristics observed across the lifespan in ASD. 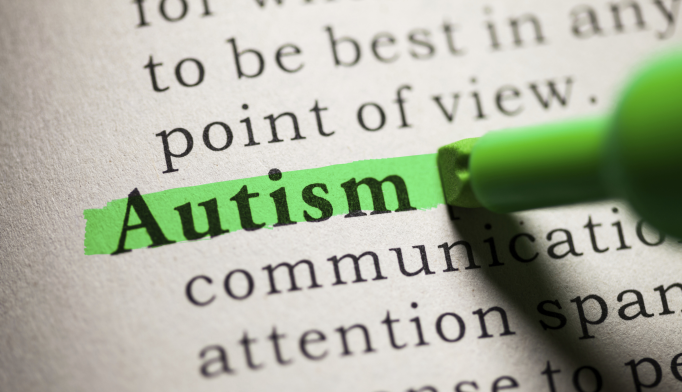 With that, the researchers are currently working to characterize the developmental transition that occurs during the onset of puberty in people with ASD. Nomi JS, Uddin LQ. Neuroimage Clin. 2015; doi:10.1016/j.nicl.2015.02.024.